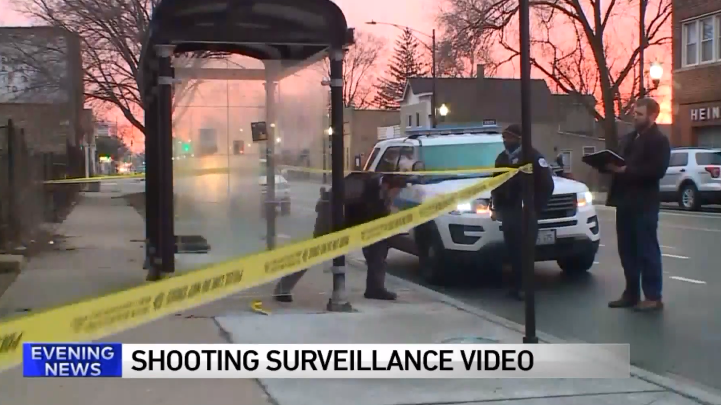 A 25 year old Chicago woman waiting for the bus at a Southside bus stop used her legally-owned, concealed carry firearm in defense of her life, early Tuesday morning. While waiting at the local bus stop, the 25 year old woman clearly felt she had no choice but to pull out her concealed carry firearm and shoot an armed, 19 year old man in the neck who then ran away and collapsed a short while later. He made it about a block before his wound forced him to retire. He was brought to the hospital, listed in serious condition where he was later declared dead from a single gunshot wound. It’s apparent by the video that some sort of struggle ensued, though we don’t know what it looks like at this time due to a gap in the surveillance footage. However, the woman is seen getting off the ground at the end of the video, where it’s also heard that the 19 year old man took her concealed carry gun from her before he fled the scene of his attack. The woman was able to land one shot before her gun was taken. That single gunshot would eventually kill her would be attacker. It is being reported that the man was armed, however we do not know what he was armed with at this time. Some reports say he was armed with a gun. We are also being told at this time that there is an ongoing investigation into the whole ordeal. What are your thoughts on this defensive gun use story? Let us know in the comments below. Finally, if there is ever a time to be covered against this sort of event, it’s before it happens. Join USCCA, before the critical incident so you can be covered legally. A woman minding her own business waiting for a bus is accosted by a criminal with a weapon bent on hurting the woman gets a surprise as she defends herself. Unfortunately for him she is the owner of a concealed carry permit and firearm and she does what she has to in an effort to defend herself and in this effort the would be criminal ends up being shot and ultimately dies of the single gunshot wound. From the reporting of the incident it seems the woman was totally justified as the man was certainly intending to harm her perhaps even kill her. She did what she had to and hopefully she won’t have any charges filed against her as Chicago is not very friendly to the law abiding that use firearms to protect themselves . She should not be charged at all. My thoughts and prayers are with this courageous young woman, an American I suppose! Without her strong will to be prepared, chances are she would not only have lost her wallet but also her life. America, this is why we need to stand up for our rights, which preserves our Freedoms and the Peace that follows!